Check out our Featured, Golf for similar articles. 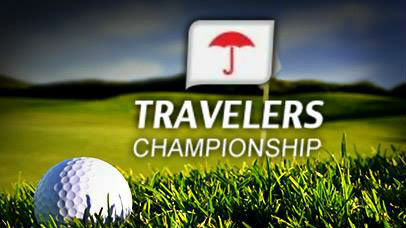 The PGA Tour makes one of its annual New England stops this week: the Travelers Championship. This event has been staged at TPC River Highlands (recently renovated for this year) since 1984 and has crowned a number of quality champions, including Phil Mickelson, Nick Price and Bubba Watson. While the track is still a par 35-35=70 with two par 5s and still tips at just 6,841 yards, golfers familiar with the old TPC River Highlands might be inclined to break in new yardage books. Risk-reward opportunities have been introduced to accentuate the playability and fun that the course already yielded, but course management will play a role. Knowing where to miss off tees and into new targets will require a learning curve, but it won’t take long for the best golfers on the planet to figure it out. Below I have listed a few wagers that have great potential to put money in your pockets. I am basing my opinions on the many factors, including, course history, recent form, and strength of field. Stats that I find most important with a course like River Highlands, are scrambling, strokes-gained: Tee to Green, and strokes-gained: Putting. Being that the course is fairly short in distance, quality chipping and putting are the key ingredients to success. Greens in regulation (GIR) is also worth a look. Webb will be in this tournament for the first time since 2013. However, the talented ball-striker has been heated up the best few months, including a T13 at last week’s PGA Championship and four top 15 finishes since June. The 30-year- old American is a horse for the course, going 6 for 6 in cuts made with one top 5 finish and an actual scoring average of 68.04 per round. He has shot a score of 65 FOUR TIMES at TPC! He tears up this golf course plain and simple. On the other hand, PGA rookie John Rahm will be visiting this course for the first time. I’ll go with the horse in this one. This is a great matchup between two world-class golfers but I give Casey the better chance in this tournament. Matt Kuchar is coming off a very cold month of July and a terrible showing in last week’s major at Baltursol; where he missed the cut with a score of +6. Casey finished solo 2 nd in his debut here last year and comes off a top ten finish at the PGA Championship. Last week he ranked number 2 in greens in regulation (GIR) and 8th in proximity to hole. Currently ranked 13 th on TOUR in GIR. He will stripe the fairways on this short course and give himself many chances to score. I’ll take the hotter golfer with great course history.